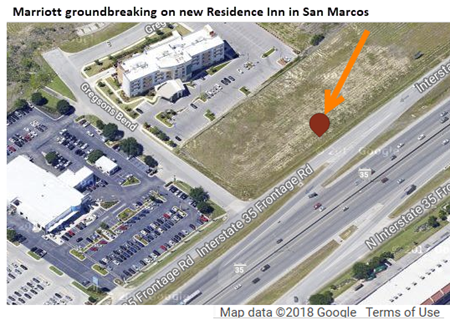 ​​​​​​​​​ SAN MARCOS – A new Residence Inn Marriott has broken ground at 625 Commercial Loop. The five-story hotel, which will be adjacent to a Courtyard Marriott​, will be marketed toward business and extended stay travelers. Estimated cost of construction is $8 million, according to TDLR​.